Apple is said to appear very "confident" in the product, with plans to build 3 million to 5 million units per month, according to Nikkei. If true, that would exceed the total worldwide sales of smart watches estimated to have been sold in the entirety of 2013. To put the numbers in perspective, Apple sold 14.8 million iPads in that product's first 12 months —a number considered to be a rousing success. In addition to sleep activity and blood oxygen levels, the report claims the wrist-worn device will also track calorie consumption and blood glucose, and will allow users to read messages from their connected iPhone. Apple is also said to have partnered with the Mayo Clinic and the Cleveland Clinic to analyze collected data and find ways to make it more useful for users. The report also suggests that Nike's anticipated exit from the wearable devices market will mean a closer partnership with Apple on the so-called "iWatch." It was said that Nike is looking to focus more on services and less on building hardware. 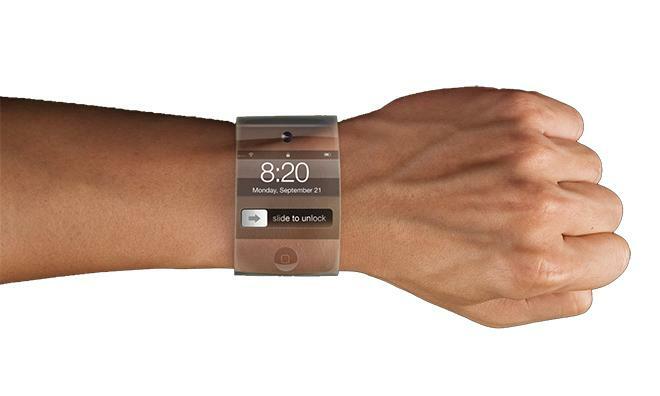 The "iWatch" is rumored to run a version of Apple's iOS mobile operating system. The latest version of that platform, iOS 8, was unveiled at this week's Worldwide Developers Conference. Apple has been rumored to be interested in OLED displays for years, but as of yet the company has stuck with LCD panels with in-plane switching. Still, the company has a number of OLED-related patents to its name, including dynamic brightness adjustment and improved power efficiency. The company also hired away a senior OLED researcher from LG Display. In an OLED screen, each pixel is made of an organic compound that emits light when electrical current is passed through it. Because of this design, OLED panels don't require a backlight, making them thinner and lighter than traditional LCD-based panels and adding the potential to be folded or curved. 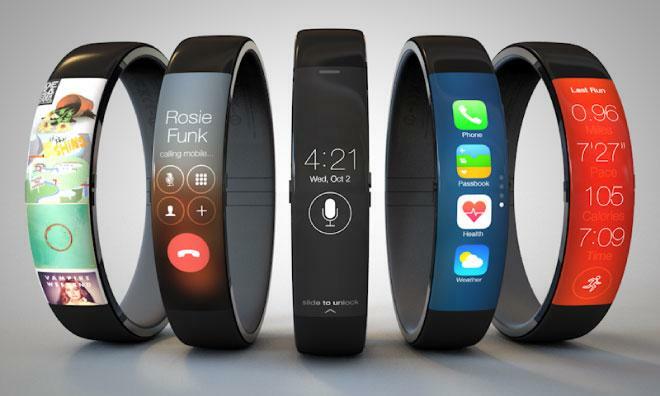 The inclusion of a flexible OLED would allow for a more form-fitting design in which the screen could curve with the contours of the wearer's wrist, rather than sitting flat on the top. 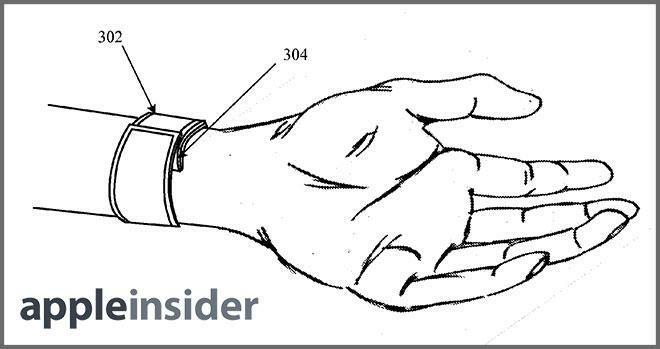 Friday's report isn't the first time that Apple has been rumored to use flexible OLED displays for its anticipated smart wrist accessory. One report in January claimed that LG would manufacture such screens for Apple in time for a late 2014 launch.